I’m in the process of setting up our new nonprofit website for dogs, using DreamPress. Our current site is not WordPress, so I’m pretty much starting from scratch (and there’s lots of pages). I’ve set things up on our new DreamPress site without too much problem, using our temporary domain that we received when we created our DreamPress account. In about a week, maybe 2 weeks, I’d like to officially move our domain so that it works on our new DreamPress site. We currently have our domains with GoDaddy. We have two domains that are important – we used a really long domain for the first couple of years, so that is currently re-directing to our current domain. With our current set-up, we are simply using http (one of the reasons why we want to move our site in the first place, because our current host charges an arm and a leg for https). So I want to make sure everything is changed properly to deal with https, as well. The idea of having to change DNS, add our domain to DreamPress, worry about https, etc scares the crap out of me. I’ve done the chat thing, and it sounds relatively easy, but our current hosting company did this kind of thing for a small fee (even went into our GoDaddy account for us). Does anyone have suggestions on who might be able to help in this area, someone who is willing to help (no fees / charges) for a small nonprofit? The best way to do it (I think) is to transfer your main domain from GoDaddy to DreamHost. If you are using your current website, make sure you backup everything. First and foremost. DreamPress is for WordPress websites only, at least, I think it is. You could sign up for DreamHost Shared and either put your current website on it and that should technically be enough, as DH Shared plan is very generous. 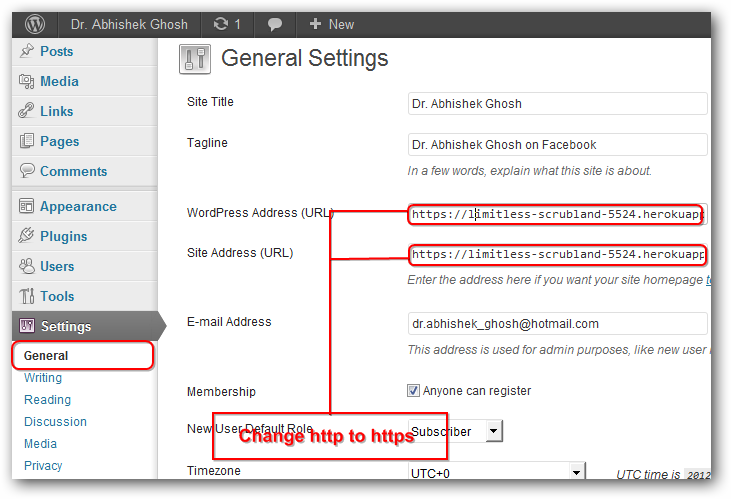 If you want to upgrade it, you can use DreamHost’s one-click tool to install WordPress within 5 minutes. They email you a username and password, and you log right in. Very simple. Then switch the site over to DreamPress. DreamHost was really my first real hosting provider. Before that, I was with some company in India that gave me free hosting, but and it would take at least 24 hours to get anything done because of our time difference. If my website went down or if something happened, I emailed them and had to wait 24 hours. This was annoying and I couldn’t keep doing it. A friend told me about DreamHost. I signed up and never looked back. Been a customer since 2013. DreamHost always – as everyone does – has room for improvement, but for the most part, you are dealing with a staff who is there to help you and make your experience as simple as possible. If there is something you don’t get, you can trust DreamHost to usually go above and beyond to actually do the work for you or guide you as much as possible in the right direction. I actually created a username and password with admin privileges specifically for DreamHost so anytime I have issues, I let them know and they just login and take a look around for me. They probably won’t build you a website, but if you have a few issues, they definitely try to help. There is always a little technical knowledge necessary but there is tons of documentation out there to help you, either on YouTube or in step-by-step documentation. You also have these forums. No one wants to see you fail or fall on your face. Plenty of people out there willing to help you with whatever you need. So ask any questions… and know that there is a whole support group here to help.